Excellent after a shower or after a treatment with Dead Sea salts or mud. Hydrates the skin leaving it soft and smooth. 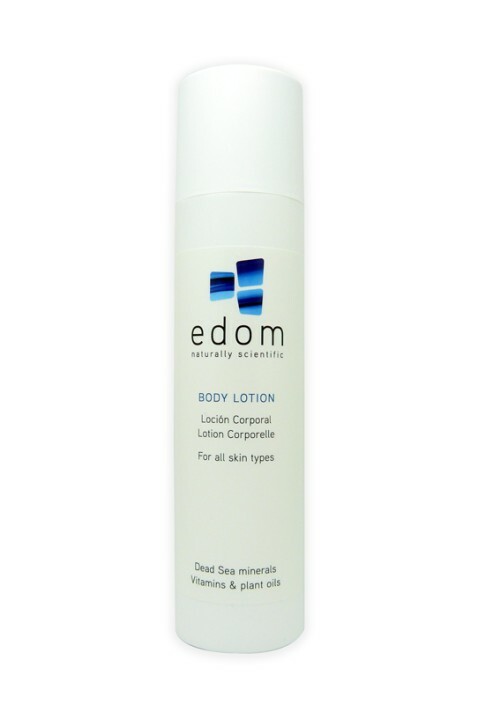 Enriched with Edom Dead Sea mineral a mild, nourishing, non-greasy lotion. Rapidly absorbed, it preserves the skin’s natural moisture level, while leaving it silky smooth, soft and refreshed. Edom Dead Sea offers treatments with “100 percent natural ingredients. Excellent after a shower or after a treatment with Dead Sea salts or mud. Hydrates the skin leaving it soft and smooth.